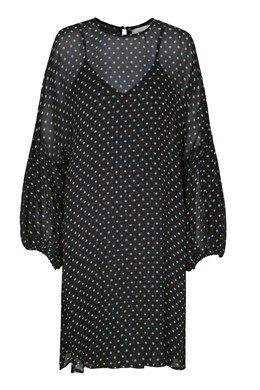 Knee-length dress in viscose with dots, round neck and long sleeves. 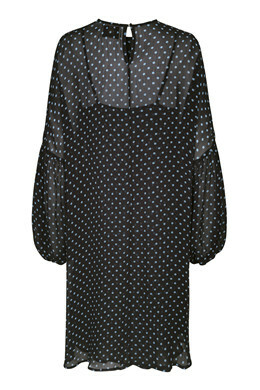 An elegant dress that can be styled with a belt in the waist. Due to the material, the style can shrink a bit after washing. The model is 177 cm in height and wears a size 36. The size measures 114 cm around the chest, 101 cm in length and 75 cm in sleeve length.